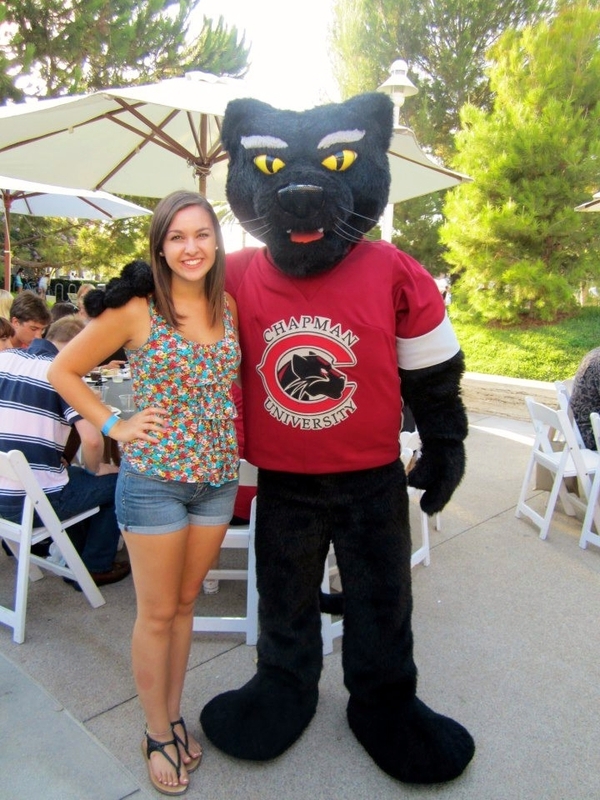 For the latest article in the Life in College Series, OneDublin.org spoke with Katelyn Haubert (Dublin High School Class of 2012 and Chapman University freshman) about the transition from high school to college. 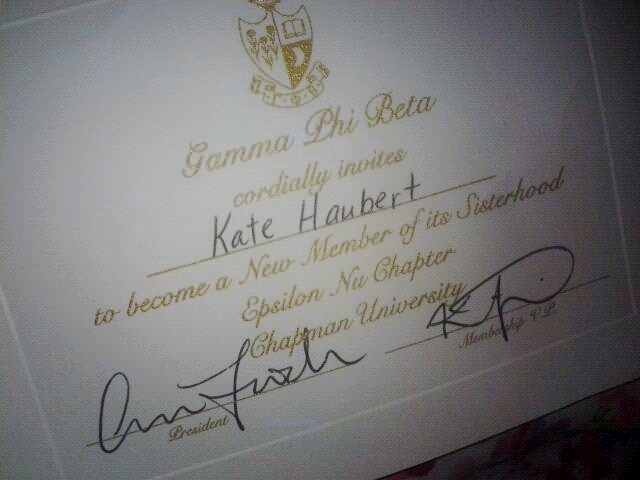 Ms. Haubert, who ultimately wants to become a teacher, is currently pursuing a double major in Strategic and Corporate Communications, and History, and is a member of the Gamma Phi Beta sorority. Ms. Haubert also served as the elected Student Representative for Dublin High School on the Dublin Unified School Board for 2010-11 and 2011-12. OneDublin.org: How did you end up choosing Chapman University and what other schools did you consider? Katelyn Haubert: “I was accepted into all the schools I applied to so it was a difficult decision. I liked the size of Chapman University – not too big and not too small – you don’t feel like you are a number, you feel like you matter. When you walk around you see friends, I can’t go anywhere without running into people I know; yet it’s not so small that I can know everyone – I’m always meeting new people. “The location, in between Los Angeles and San Diego, appealed to me because I have friends in both cities. The weather is awesome and there is lots to do in the area. When I toured the school I really fell in love with the campus, which is spectacular; the buildings are very well maintained and you feel good being on campus. The staff is very accessible – when I was on a tour the President of Chapman stopped and chatted with us. It is very easy to get to know people at the school. I also had a family friend that went here and they told me the inside scoop on the school. 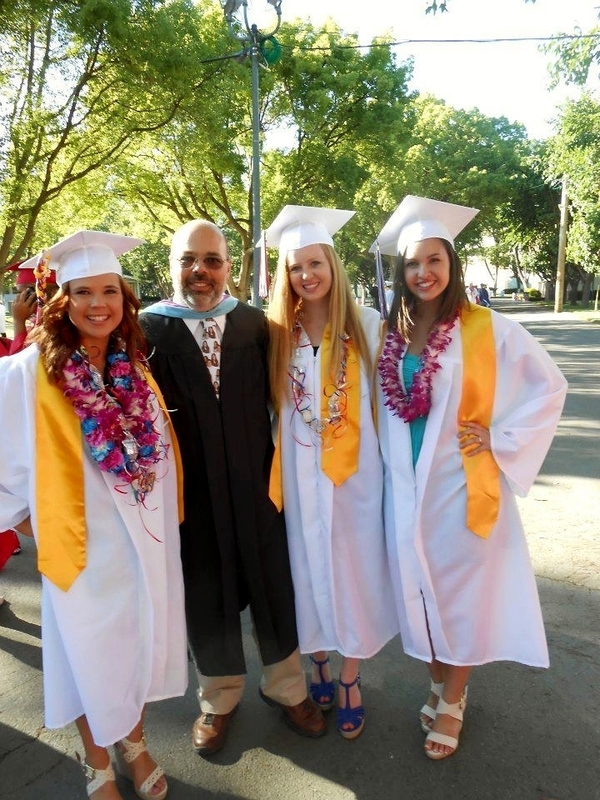 “Chapman also offered me substantial scholarship money which made a difference. I couldn’t have gone without that financial support. OneDublin.org: What was the process to secure scholarships at Chapman? OneDublin.org: How does the student body take advantage of being 10 minutes from Disneyland? Is that a distraction or an advantage? 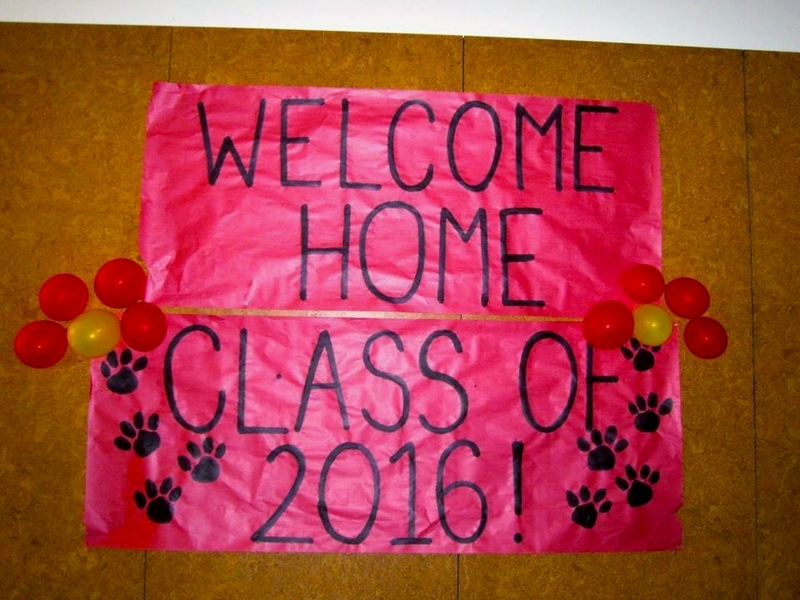 OneDublin.org: What are the key differences between high school and college so far? Haubert: “It’s interesting how on the first day your professors lay out the entire class for you – you know all the assignments, all the tests, everything, whereas in high school you find out as you go. I like knowing everything in advance. “Another thing that was different for me is buying all of your own books and Scantron for tests, everything is on you. “But the biggest difference is that it’s all on you to live healthy, eat good food, exercise – no one is keeping tabs on you. Time management is all up to you. It’s about being independent and grown up. “It’s possible to balance working, school and a social life so students that are worried about having a job while in college, it’s doable. I work at the campus gift shop and bookstore – you have more control over your schedule in college than in high school. 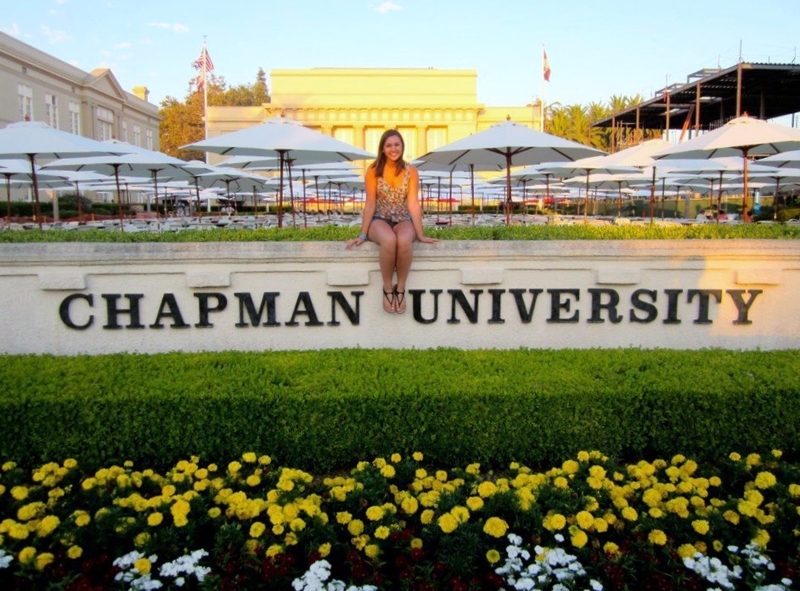 OneDublin.org: How well did Dublin High School prepare you for Chapman University? Haubert: “Dublin High’s AP classes ran at a similar pace to college, the way you have to read on your own, and decide on your own what is important. Unit exams are like AP exams – you have one part that is multiple choice and one part that is an essay – so I’m glad I had that experience while in high school. I feel like Dublin High did a really good job getting me comfortable writing research papers, group presentations, public speaking and leadership. I was in leadership throughout high school and by being on different committees you learn how to organize events. Leadership is important at Chapman so it was terrific to have had leadership opportunities while in high school. OneDublin.org: While at Dublin High School you were the student rep on the Dublin School Board of Trustees. What did you get out of that experience? OneDublin.org: What advice do you have for students that are preparing to go to college? Haubert: “Take AP classes and get the best grades you can possibly get so that you have as many options as possible. You want to get to your senior year and be able to apply anywhere. “Get involved – when you start high school or college it can be scary because you don’t know everyone. 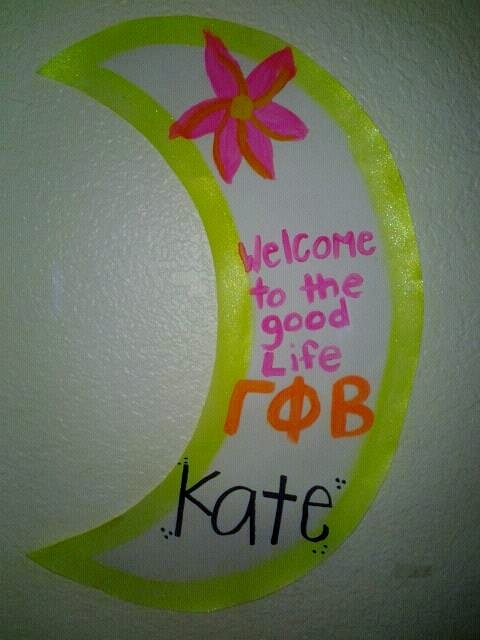 If the college you choose has Greek life, consider it; I’m in Gamma Phi Beta and it’s a big part of my life. During Rush Week you visit the sororities and it’s a mutual decision, they pick you and you pick them. Once you get into a sorority or fraternity you have a group of built-in friends on campus, a lot of people you can depend on right away. You also have a network of people who might help you after college. Sororities and fraternities also provide leadership opportunities, volunteer opportunities and numerous events to participate in. At the Dublin High School 2012 Senior Awards Night Katelyn was awarded a Chapman University scholarship, was named a California Scholarship Federation Life Member, was awarded the President’s Silver Award for Educational Excellence and earned Dublin High School’s Advanced Scholar Diploma. Katelyn was the Dublin Unified School District Student Representative for 2010-11 and 2011-12.